Infinix Note 5 Stylus Launch in India, Learn Price and All Specifications - mobilereview.online - The Ultimate resource for mobile phones reviews, specification, information. Infinix Note 5 Stylus Smartphone launched on Monday. 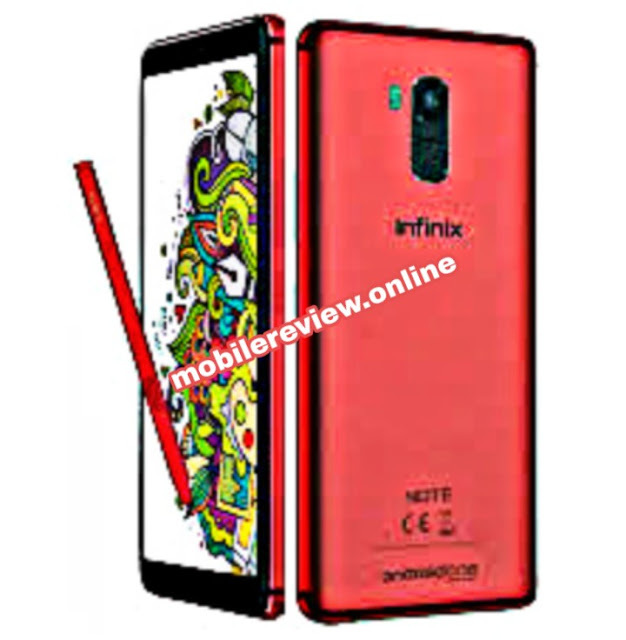 It is a variant of the Infinix Note 5 handset, if seen. However, its specification is slightly different, along with it supports XPen stylus. Infinix Note 5 stylus is part of the Android One program. This phone, which runs on stock Android, is guaranteed to receive regular updates. Apart from this, the phone has a 4,000 mAh battery that supports fast charging. Other features include 18: 9 display, 16 megapixel camera and full metal body. Infinix Note 5 Stylus will be sold for Rs 15,999. Its sale will be exclusively on flipkart from December 4. The phone has been made available in red and blue colors. Dual-SIM (Nano), Dual 4G with VoLTE support Infinix Note 5 Stylus runs on Android 8.1 Orio. This is an Android One phone. The smartphone has a 5.93-inch Full-HD + (1080x2160 pixels) LCD display. Its highest brightness is 500 knits. Smartphone uses the Octa-Core MediaTech Helio P23 processor. The highest clock speed is 2 GHz. Along with 4 GB RAM has been given. Infinix Note 5 Stylus has a 16-megapixel rear camera. It comes with F / 1.8 aperture, dual LED flash and HDR support. In the handset, the company has given information about features like AI Auto Seen Detection, AI Portrait and Beauty Mode. The Infinix Note 5 Stylus on the front panel has a 16-megapixel camera with F / 2.0 aperture. It comes with features like softlite flash, AI Bokeh and AI Beauty. Infinix Note 5 stylish inbuilt storage is 64 GB. Coming with hybrid dual sim design, this phone also has support for MicroSD card. Connectivity features include 4G VoLTE, Wi-Fi, Bluetooth 4.2, FM radio, 3.5mm headphone jack, Micro-USB port and OTG support. Accelerometer, ambient light sensor, digital compass, gyroscope and proximity sensor are part of this phone. Fingerprint sensor is present on the rear panel of the phone. The battery is 4000 mAh and it works with 18 Watt Fast Charger.